Originally from California, where he studied with mandolin great David Grisman, Colby migrated to the Midwest to attend Oberlin College and then stayed to escape the tech boom. Colby teaches at the Old Town School of Folk Music now, and in 2006 he won first prize at the Rocky Grass mandolin competition in Lyons, Colorado. Recent side projects include raising two kids, releasing 127 Songs Live From the Old Town School, editing the Old Town School of Folk Music Song Book and playing around town with Charming Axe, Barb Silverman, Steve Dawson, Chris Walz, and Mike Church as well as recording Civil War songs for the Newberry Library. 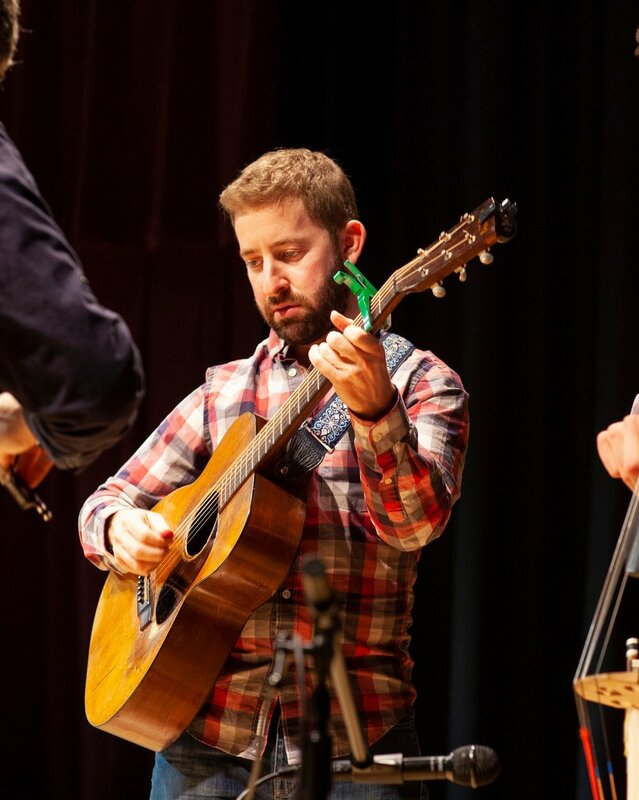 Eli makes Chicago his home and performs with a wide variety of ensembles including traditional and progressive bluegrass, old-time, western swing, gypsy jazz, country, rock and roll, and Latin folk. 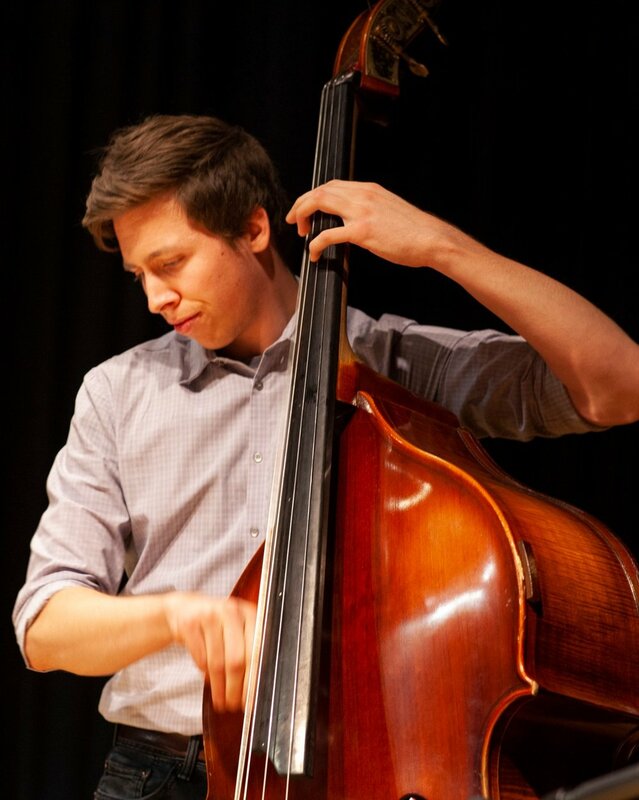 Eli graduated from DePaul University in 2016 with a degree in Bass Performance and uses his classical training, melded with his love of folk styles, to push the boundaries of the bassist's role in an ensemble. You can find him playing his own music and other's at venues all over the city ranging from Cole's bar, to Fitzgerald's, The Old Town School of Folk Music, City Winery, and even Symphony Center. Aaron Dorfman has traveled the world playing guitar; from Kenya to Kyrgyzstan, Ireland to Pakistan and a whole host of incredible places in between. With a flatpicking style strongly inspired by Bryan Sutton, David Grier and Doc Watson alike, Dorfman strives to inject as much energy as possible into the music he creates, writes and performs.